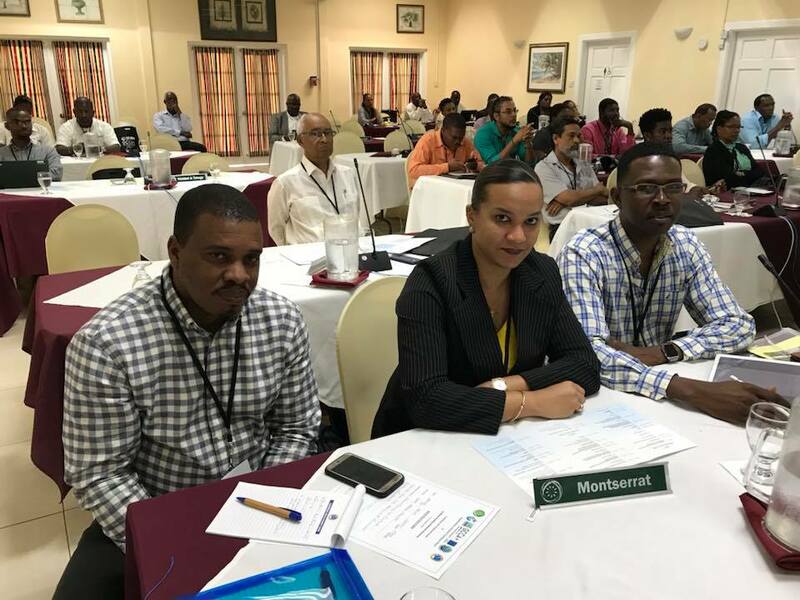 Chief Physical PlannerJerome Meade, Government Architect, Linda Dias and Civil Engineer in the private sector, Adrian Galloway are representing Montserrat at the Caribbean Building Standards Forum & Exhibition in St. Lucia this week. The event, hosted at the Bay Gardens Hotel, is a collaboration between the OECS Commission and the Caribbean Development Bank (CDB) under the theme ‘(Re)building for a Resilient and Robust Response to Disasters’. It brings together local and regional stakeholders in the construction and finance industries as well as development partners. The exhibition component will feature building products, technologies and services that enhance disaster resilience and preparedness. The exhibition and the forum are open to the public and also streaming live on the OECS Facebook page. GOM’s Chief Architect Linda Dias said the forum is “a step in the right direction, and gives a very insightful overview of what many of our neighbouring islands are going through, and their intentions to improve their building standards based on historic data and personal experiences. “Many of the islands aren’t that much further ahead of Montserrat – but all have goals to significantly improve their construction techniques, the ways to monitor and evaluate construction, and steps needed to progress accreditation of professionals . Presentation on challenges of implementing new building standards. The aim of this regional building forum is two-fold. 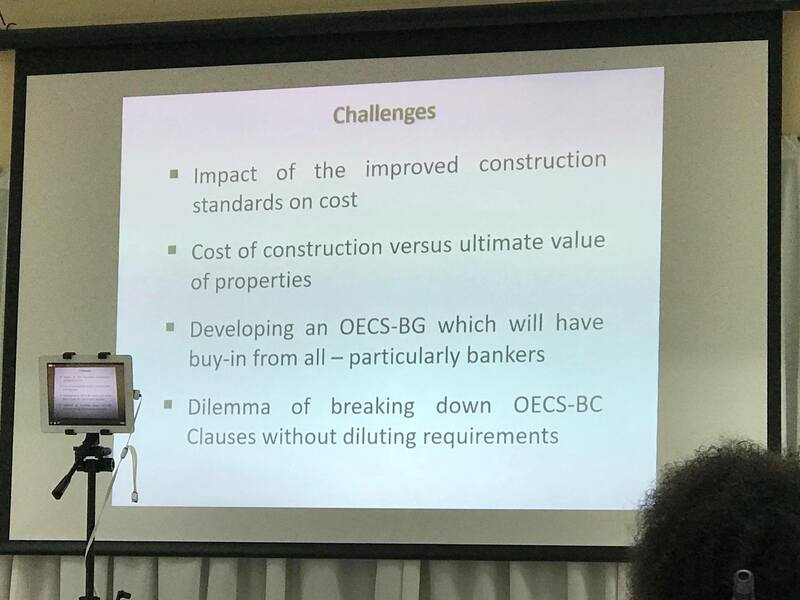 The OECS Commission, under the EU-funded iLAND Resilience Project, is seeking to review and discuss the 2015/2016 OECS Building Code and Guidelines to update and improve their provisions and implementation. Also, the CDB is leading the effort to harmonize a regional approach to disaster resilience and regulation of the building sector. Presentation are being delivered by regional and international technical experts from various fields in the industry to be followed by working groups and closed sessions.